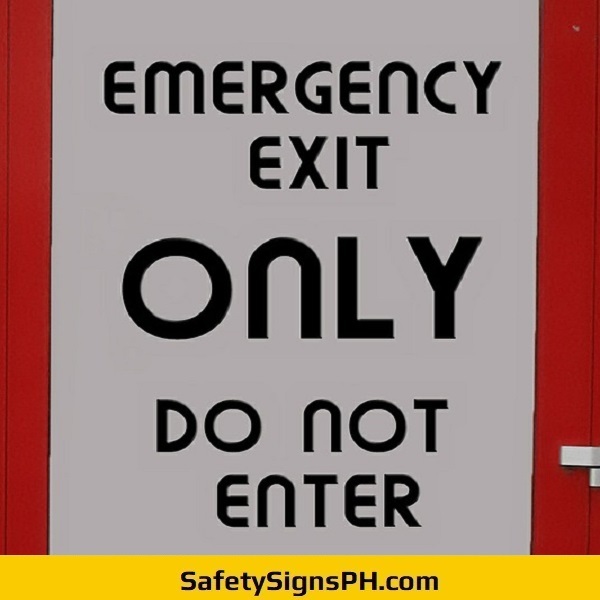 If you are searching for general access signs for your facility, look no further! 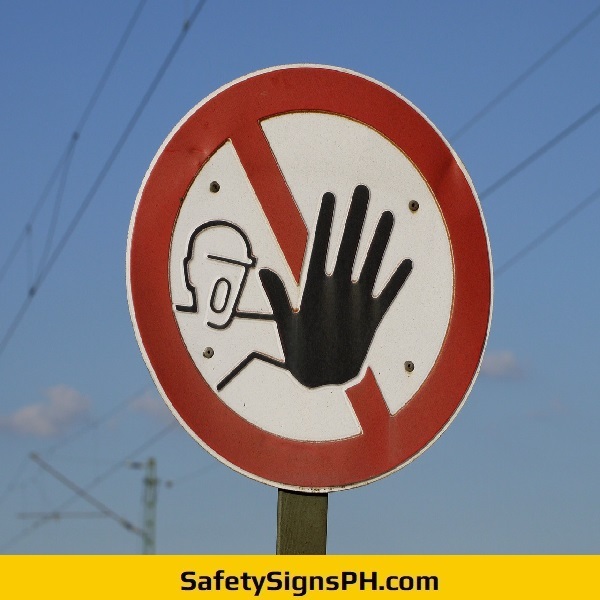 Here at SafetySignsPH.com, you can order customized access signs that will help your workplace stay accident-free. 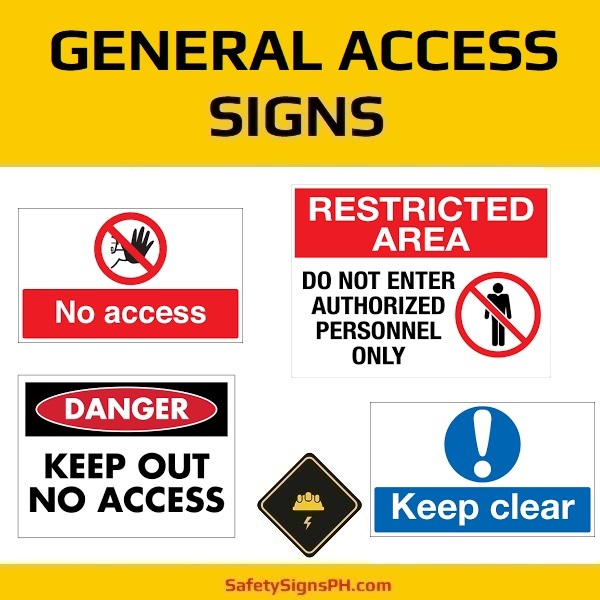 Available in different dimensions and formats, our general access signs are crucial to the safety of an establishment. 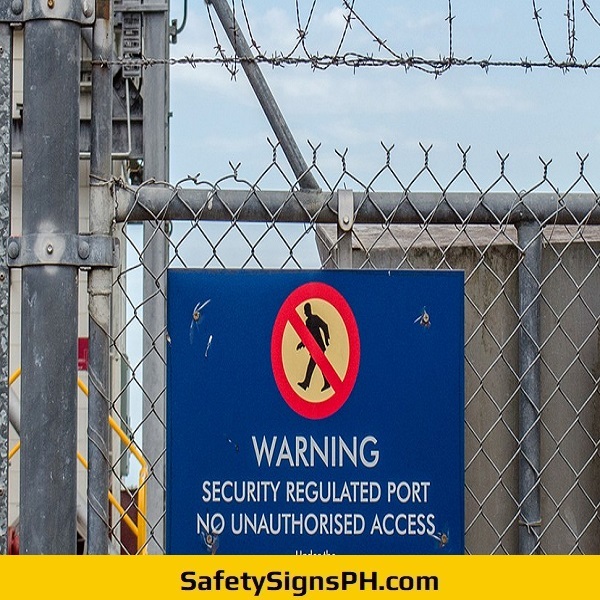 These warning notices inform employees and visitors of the dangers ahead, and warn them that specific sites require special access or privilege due to hazard levels. 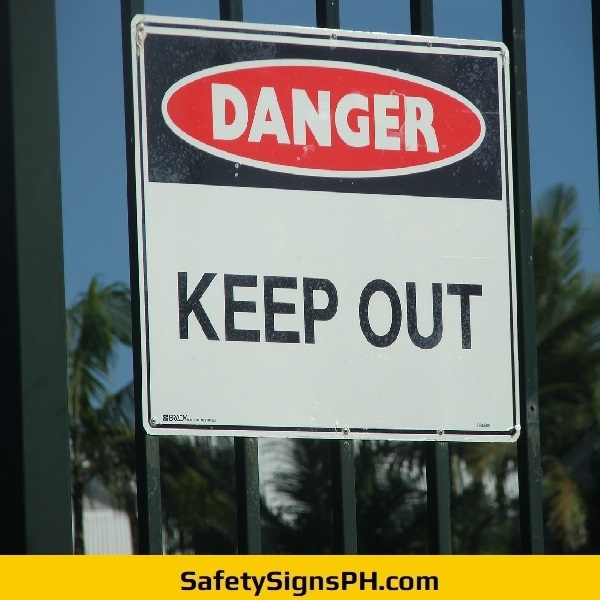 Our general access signs are suitable for businesses in Metro Manila, Cavite, Laguna, Rizal, and Batangas, Philippines engaged in building, construction, demolition, civil engineering, maintenance, forestry, mining, metals and steel, manufacturing, and many others. As a full-service safety signage shop, we take pride in the craftsmanship of every signage that we design and fabricate. Feel free to browse through our online shop and pick from a selection of varieties, including Keep Clear, No Entry, and Restricted Area signs. Our professional team always ensures that you get nothing but durable access signs using quality materials, modern laser-cutting and welding equipment, and large-format digital printer and cutter. We have developed a production system that is both efficient and cost-effective, allowing us to complete a project in a timely manner. Our company has everything you need to mark out certain locations of your building and prevent the unauthorized persons from entering the wrong place. Don’t see the exact safety sign you need? No problem! We customize signs to fit your requirements. Feel free to contact us today to request a free quote. Just send us your layout and we'll take care of the rest!